Jes Gru was last seen performing a reunion show at the Magic Bag theater in Ferndale, Michigan in May of 2004. Since then, they have a few local gigs under their belts, at pubs and taverns near you. 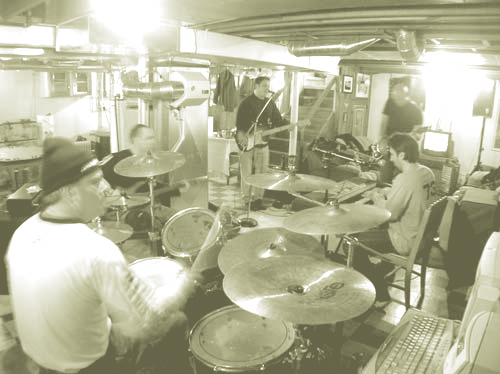 Jes Gru is a Detroit-based quintet that began writing music with its current line-up in the spring of 1994 with a strong emphasis on song, melody, and meaningful lyrics. Each member brings rather different musical influences, creating the band’s unique sound. Throughout the 1990’s Jes Gru gathered quite a buzz in the flourishing Detroit music scene, as well as throughout the Midwest. Jes Gru built its reputation on a strong live show and great songs. 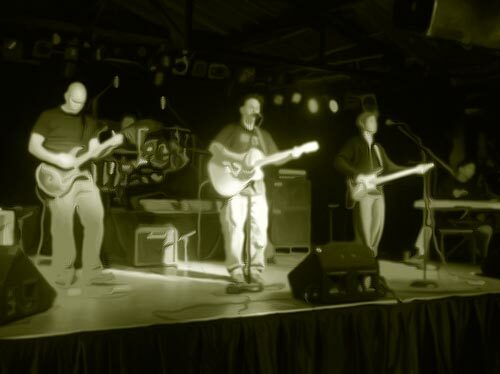 After attending high school together in Michigan, the band formed as a quartet in the late 1980s. They began writing and rehearsing songs and played their first live show at a party at the Perakis Palace in mid-1992. They entered Tempermill Studio in the fall of 1994 to record their debut album ‘Glow.’ With funding from Vicarious Records, ‘Glow’ featured top-notch production from Dave Feeny at Tempermill. Featuring standout songs like ‘Token Change,’ ‘Hind Sight,’ Never Thought I’d Go This Way,’ ‘Start Again,’ and ‘Trashed,’ ‘Glow’ boasted first-rate production, sound musicianship, creative song writing, and lyrical significance. Released in 1995, ‘Glow’ received major market radio play in Michigan, Ohio, Indiana, Florida, Arkansas, Illinois, Pennsylvania, and Tennessee. Throughout the late 1990s, Jes Gru toured the Midwest in support of ‘Glow’ sharing the stage with such national acts as Counting Crows, Hum, Moist, Sponge, Spirit of the West, the Jesus Lizard, Verve Pipe, Gin Blossoms, Robert Bradley’s Blackwater Surprise, Rhythm Corps, The Romantics and Kid Rock.